Blender is a powerful and free 3D graphics tool used by artists and designers worldwide. But even experienced designers can find it challenging to turn an idea into a polished piece. For those who have struggled to create professional quality projects in Blender, author Ben Simonds offers this peek inside his studio. You'll learn how to create 3D models as you explore the creative process that he uses to model three example projects: a muscular bat creature, a futuristic robotic spider, and ancient temple ruins. 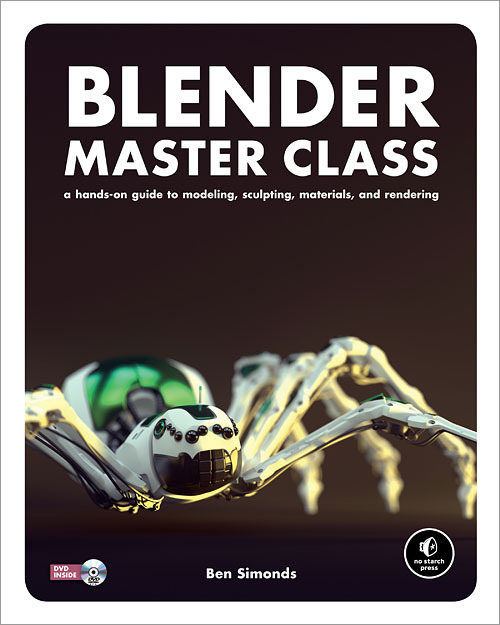 Along the way, you'll master the Blender interface and learn how to create and refine your own models. Each chapter walks you through a piece of the modeling process and offers detailed explanations of the tools and concepts used. Filled with full-color artwork and real-world tips, Blender Master Class gives you the foundation you need to create your own stunning masterpieces. Supplementary download includes files for each project in the book, as well as extra textures, brushes, and other resources.